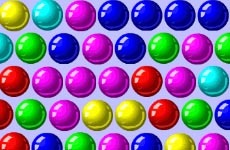 30 levels in the game will capture your imagination and get you addicted to this excellent online game. The one eyed boy in the game has to be helped to collect the keys and the gold coins in each of the levels of the game. The game play will require physics based skills for the game play. The game is nice to play and the only required control is the computer mouse.